Mandava Suites is a pleasant homely property located at Arunodaya Colony, Hyderabad. Known tourist attractions nearby include Village Museum, Shilparamam, Sri Kotla Vijayabhaskara Reddy Botanical Garden, and Durgam Cheruvu Secret Lake Park. 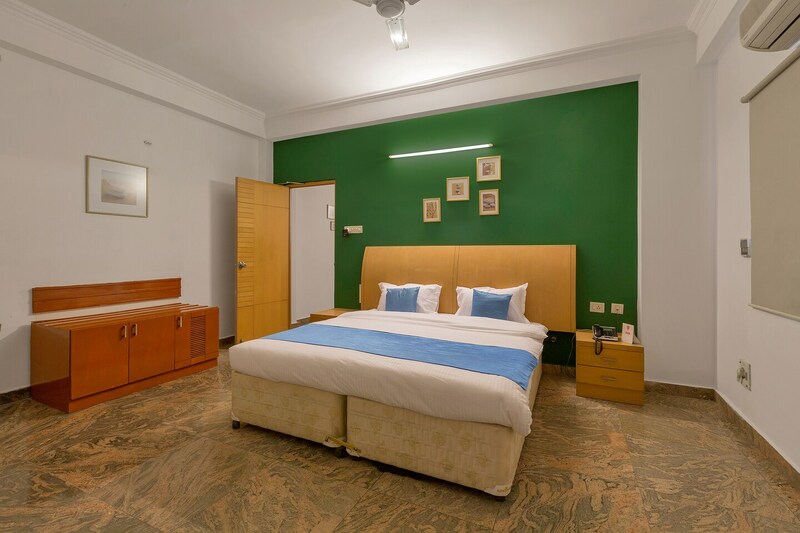 The rooms are spacious and the dark green paint of the main wall contrasts well with the white and light brown furniture. The rooms come with a TV, AC, mini fridge, and geyser. Laundry, elevator, parking facility, and power backup are other facilities offered by the hotel. Many eateries can be found within 10 minutes of the hotel like Swaad Restaurant, Savla's Home Food, Minerva Coffee Shop, New York Tavern, and Karachi Bakery.